This week I learned that there are silver linings in even the most adverse circumstances. I have so much to be thankful for and so many blessings. Happy Thanksgiving to you all! The Macy's Thanksgiving Day Parade. I haven't missed one since I started watching as a kid. Little Noses saline drops. Unclogs stuffy noses so baby bear can sleep (mama and papa bear too). Now a permanent fixture in my baby care toolkit. 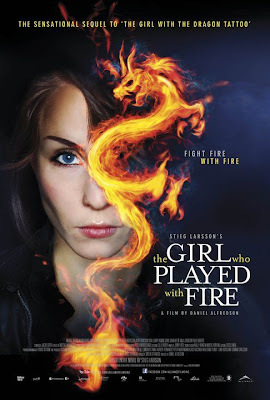 The Girl Who Played With Fire. I just finished the book and watched the Swedish film. I'm still on an adrenaline high. I'm thankful for you reminding me of the little noses. Also I'm thankful I've been alive almost 30years. My bday is this Friday. Now that I finally got a pair of glasses again, I am back to reading and cannot wait to read that book! This week, I am loving my family and all the fun little things we have been doing together. I especially loved cuddling up with my Aiyanabug last night to watch a movie together. It is nice now that she is getting old enough to watch something other than Mickey Mouse Clubhouse! I need some of those saline drops! My son got his first cold at 2 weeks (ugh!) and everyday was steaming in the bathroom, using the nasal aspirator + Boogie Wipes. I've heard great things about the drops though and they seem like an easier solution. Does Baby mind them? What's the book about? I love the cover! Teresha, hope you had a great Thanksgiving!! Jillian and I were glued to the TV watching the Macy's parade. We never miss it. It's so much fun to watch together. I need to read the second book and finish watching the first film. I've heard good things about it but it takes me a while to get into movies with subtitles. I have some of those drops, but you would think I was pouring acid down Lewis' nose whenever I attempt to use them.